Berglind Fjóla Smáradóttir successfully completed her PhD trial lecture and thesis defense at the University of Agder on Monday, the 17th of October 2016 and will be awarded the degree of Doctor of Philosophy. The title of her thesis is “User-centered Design and Evaluation of Health Information Technology“ and the given topic for her trial lecture was “Health Information Technology: Status, trends, issues and challenges”. First opponent: Dr. Gareth Loudon, Cardiff School of Art & Design. Second opponent: Professor Elizabeth Borycki, University of Victoria. Professor Andreas Prinz, Univeristy of Agder, was the administrator for the assessment committee. 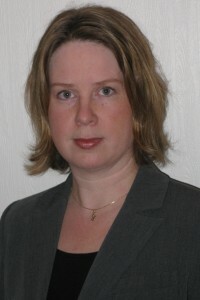 Berglind Fjóla Smáradóttir carried out her PhD work at the Faculty of Engineering and Science, Univeristy of Agder, Specialisation in Information and Communication Technology (ICT). Her supervisor has been Professor Rune Fensli, University of Agder, while co-supervisor has been Professor Vladimir Oleshchuk, University of Agder.